We supply helpful and friendly care to adults who need support and help to live in their own homes. All the care packages are tailored to the Client’s needs with the aim to enhance independence. It is Acquire Care’s policy to always listen to the needs and wishes of the Client, both at the initial assessment and then at regular reviews. In this way the Client is actively involved in creating the care package that is required. Acquire Care provides services in the home of the Client whenever required and in the manner requested. Every care plan is fully adaptable to meet the ever-changing needs of the Client. No detail is too small to warrant a change. It is realised that the small attentions to detail are important to Clients and therefore it is essential that all wishes and preferences of Clients are noted and considered. Acquire Care develop their care plans to be outcome driven and therefore are created with flexibility to suit the individual. Acquire Care’s policies and procedures are written in compliance with the Health and Social Care Act 2008, Care Act 2014 and the Care Quality Commission’s Essential Standards of Quality and Safety. At all times, Acquire Care believes that the rights of the Client are paramount. Acquire Care exists to bring helpful and friendly care services to Clients living in their own homes. Our registration with the Care Quality Commission enables us to provide care in the following regulated activity, as defined in the Health and Social Care Act 2008 and Care Act 2014. 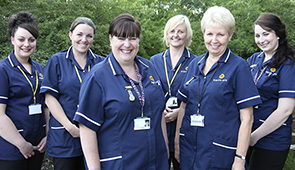 • Home Care services to people living in Oxford and the surrounding areas between 07.00 and 22.00 hours. • A sleeping/waking night service between 22.00 and 07.00 hours. All people who are supported by and work at Acquire Care and all people who visit will be treated with respect at all times. · We aim to offer skilled care to enable people who we support to achieve their optimum state of health and well-being. · We uphold the human and citizenship rights of all who are supported by us and work for the Company. · Individual choice and personal decision-making are the right of all Clients and will be supported by all the people who work for the Company. · The right of independence will be respected and encouraged for all Clients. · The individual uniqueness of Clients and visitors will be recognised and they will be treated with dignity and respect at all times. · The individual requirement for privacy will be respected at all times and all information relating to individuals will be treated in a confidential manner. · We recognise the individual need for personal fulfilment and aim to offer individualised programmes of meaningful activity to satisfy the need of Clients. Acquire Care has a policy of promoting the maintenance of Clients’ normal social networks and social activities. Each Client’s Care Plan includes a facility for recording life history, social networks and contacts as well as the preferences for activities and hobbies so that the Client is offered access to those networks and activities which are appropriate and desired. Records will be designed, used and stored so as to assure privacy. Legislative controls over records, such as the Data Protection Act, will be adhered to and Client’s explicit permission in writing will be sought before information is passed to any person other than those directly concerned with the care of the Client. Dignity is a matter of prime importance to the Company and all staff receive training in this area. You will be asked for the name by which you wish to be addressed, and this name will be recorded on your Client Plan and used by all staff. You are perfectly entitled to ask that your principal carers use one name, and others use another name. The level of familiarity is under your control. In the absence of information to the contrary, staff will address you formally, using your title and surname. The Company seeks to reduce any feelings of vulnerability which Clients may have as a result of disability or illness. Experience: Acquire Care has experience of providing Personal Care and Social & Emotional Support as well as assistance in the Treatment of Disease, Disorder or Injury. Experience: Nicholas Boers has been Managing Director of the Domiciliary Care Agency since June 2010. A list of current staff and their qualifications is available on request. The staff allocated to support you will be chosen in order to match their skills with your needs, and also to minimise travelling distances. New employees are inducted to National Training Organisation standards within 12 weeks of employment. We manage and train our employees with the aim that all of our carers achieve NVQ level 2. All other employees receive the training appropriate to their work, for example Food Hygiene for staff handling food. All employees receive training in health and safety matters such as moving and handling, first aid, adult protection issues, and a range of other matters. We believe that complaints and compliments are a valuable indicator of the quality of our service, and an opportunity to improve that quality. We assure all Clients that no-one will be victimised for making a complaint, and we encourage Clients to instigate the complaints procedure whenever they feel that this is necessary. We do not wish to confine complaints to major issues. We encourage Clients to comment when relatively minor matters are a problem to them, such as receiving cold food, or being kept waiting without explanation, or being spoken to in a manner that they do not like. It is our policy that all matters which disturb or upset a Client should be reported, recorded, and corrective action should be taken. Only in that way can we work towards meeting our aim of continuously improving our service. Clients and their representatives may take their complaints to persons in authority outside the Company. For Clients funded all or in part by Social Services or the Primary Care Trust, complaints may in the first instance be directed to them. For privately funded clients, a range of advocacy services are available locally and they will be happy to help you deal with the complaint. In the event of a serious issue and complaint, you should contact the CQC. Clients have the right to access external agents who will act in their interests to help them solve problems, discuss concerns etc. The Registered Manager will be happy to provide information on local advocacy groups and other support networks. Acquire Care Ltd can provide Clients with a copy of the Safeguarding Policy. Acquire Care Ltd is currently insured through Bluefin Insurance Ltd.